Veteran’s Day is Tuesday, November 11, 2014. Today’s guest post is from Rhea Lucovsky, a frequent contributor to WeAllSew. Her past posts include How to Digitize Your Own Split Letter Monograms, DIY Lace Insertion in the Mega Hoop, The Wedding Quilt: A Secret Family Project, and DIY Wedding Inspiration. What does it mean to serve in the Armed Forces? Men and women of the Armed forces give of themselves both mentally and physically. They sacrifice not only themselves but their families to stand up for the rights of every human being. 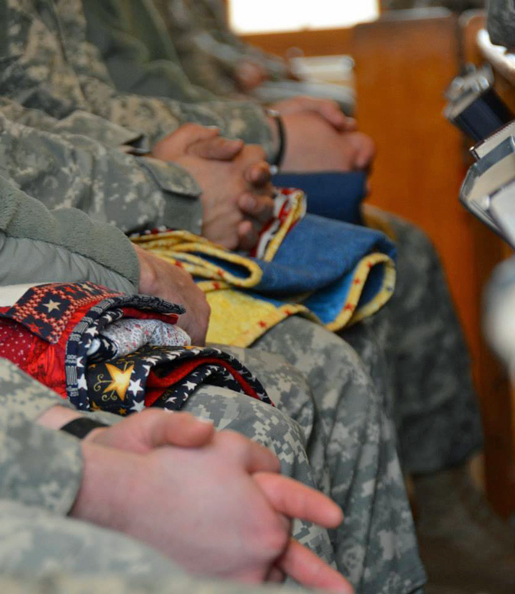 What have you done or what will you do to honor those that serve? Just ask Lisa Wardenaar or Kerry Stewart or the dozens of women that volunteer at the local North Carolina Chapter of Quilts of Valor (Operation Sew Thankful) and they can give you an answer. They will inspire you to give a little bit of yourself, your time or your resources, to honor those who give a LOT for our freedom! Retired Colonel Stewart a recipient of one of the Quilts made by Quilts of Valor Chapter Operation Sew Thankful and Lisa Wardenaar. 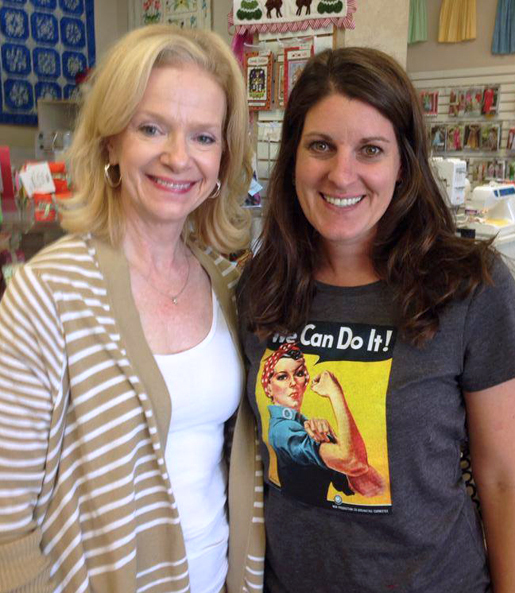 Elegant Stitches in Cary, NC is one of the two local venues in our area where the participants of Operation Sew Thankful meet to stitch and bond! We have a permanent spot in the store where donations can be made to support the local chapter of the Quilts of Valor Project. Operation Sew Thankful at times creates quilt block kits that can be purchased at Elegant Stitches at a minimal cost, taken home and returned finished so they can be made into a quilt. 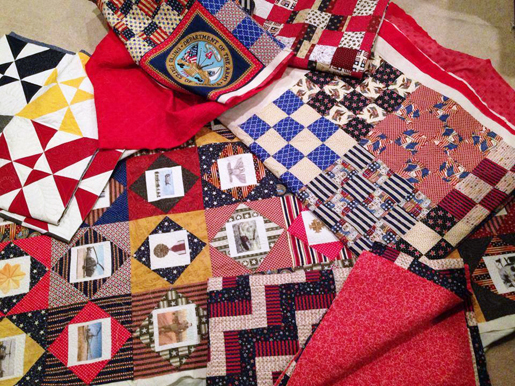 Anyone interested in getting information on this project and perhaps participating can email our local NC chapter at operationsewthankful@gmail.com or check out the Quilts of Valor Foundation website for a participating chapter near you. Next Next post: Appliqué Center Circles the Easy Way – by Embroidery Machine!